Centrally located in Pedoulas village, the family-run Christys Palace Hotel offers rooms with free Wi-Fi and views of the village. A supermarket for the essentials is across from the hotel, and 3 restaurants can be found in a 3-minute walk. Staff at our 24-hour front desk can offer information on sites such as the nearby Byzantine Museum, Folkloric Museum and the UNESCO church of Archangel Michael. For guests looking to relax, all are welcome to enjoy the vine-covered outdoor terrace. The cities of Nicosia and Limassol are within a 70-minute drive. Paphos Airport is 65 km away, while Larnaca Airport is at 121 km. 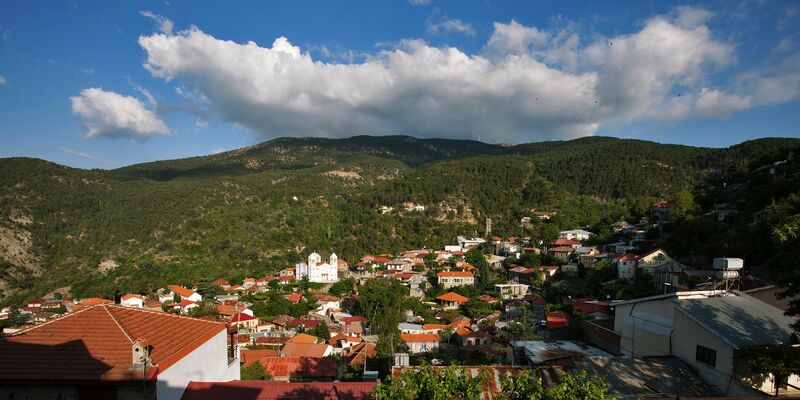 The famous monastery of Kykkos is only 22 km away and Trooditissa Monastery is 10 km away. This property is also rated for the best value in Pedoulas! Guests are getting more for their money when compared to other properties in this city. © 2018 Christys Palace Hotel. All rights reserved.